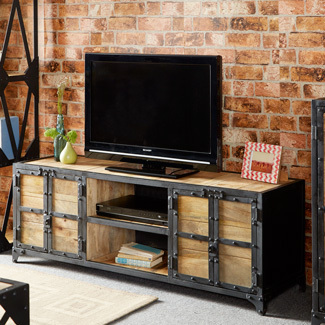 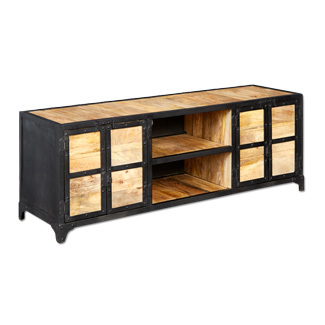 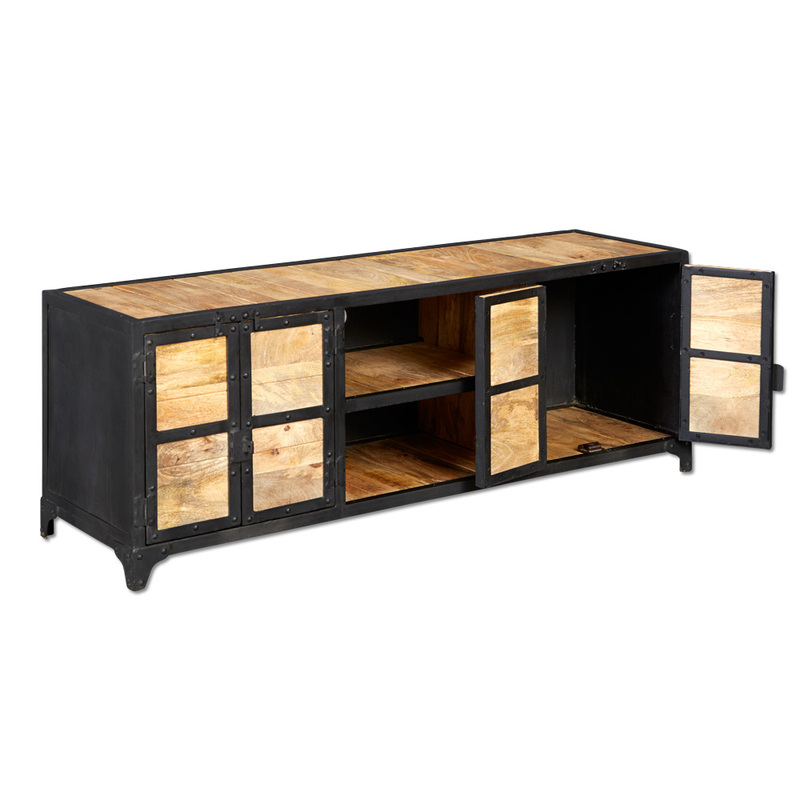 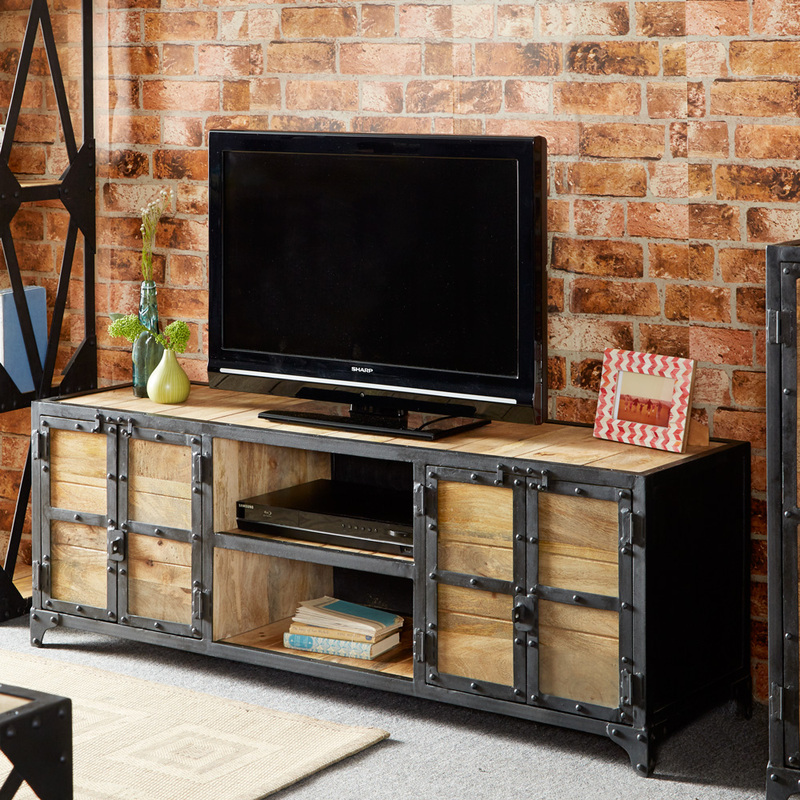 A large TV cabinet with a difference, bang up to date industrial styling which looks absolutely superb. Made from recycled materials in India and boy is it heavy with cast iron structure with plank top makes this the epitome of upcycling. Hand made and finished totally by hand.